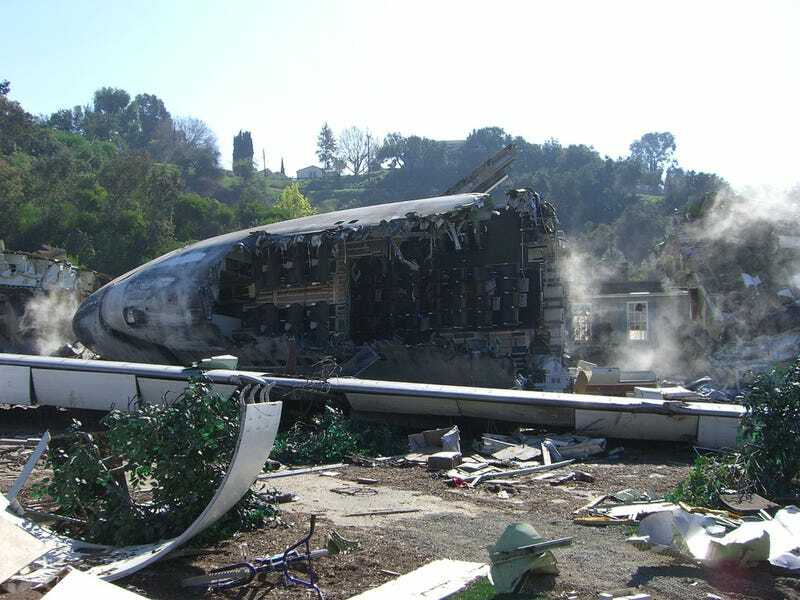 Science fiction show begins with a plane crash: what an original idea! It worked for Lost, Fringe and a bunch of other shows. So now AMC is going with the tried-and-true "plane crashes in the first episode" model of science fiction storytelling with its first science fiction show, Line of Sight. Line of Sight is the creation of Blake Masters (Brotherhood, Rubicon, 2 Guns) and it's the story of Lewis Bernt, a "National Transportation Safety Board (NTSB) investigator who survives a mysterious plane crash, bringing him on a quest to discover the accident's cause. He becomes a man whose entire sense of self, his own life and the world as he knows it, completely unravels in a whirlwind of obsession and paranoia." The show is described as a unique blend of science fiction, drama and "conspiracy thriller."